Are you planning a trip to Austria this year? Are you looking for the information on what to see and how best to get there? 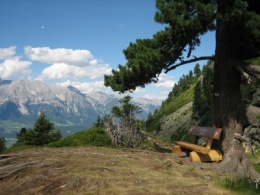 Well we can help make your travel plans a lot easier with our Austrian Travel itineraries. Designed by travel professionals who want to share their beautiful country and heritage with you. We have complete travel plans for you to choose from. recreational options to choose from as you wish. One of our travel plans will be just right for you. An incredible 21 day trip, a delightful Vienna trip, a marvellous Salzburg Trip or Christmas markets trip. These itineraries include all the information you will need, including venue/ attraction information, background information of the cities, towns and villages included in the travel guide, directions, travel times, scheduling and much more ! Yo ur Austria travel plan will include the well know attractions you are hoping to visit and those local secrets you want to find out about. from Guide Yourself Tours ! Wishing you a Super time in Austria ! A very well organized 7 day itinerary to help you with your travel planning for the best trip that you could possible have in just one week. This itinerary includes information to make planning your visit to Vienna Salzburg and and the Austrian Alps a very easy and rewarding experience. Great travel planning information for you to have the trip of a life-time ! With this fantastic 14 day travel itinerary. country with information on tourist sites and how to get there. Planning a trip to Vienna this year? Our itinerary has all the information you need to guide you on your trip to this great capital city and the nearby province of Lower Austria / Niederoesterreich. Our guide has the information you can use for planning your trip to visit the great historical and cultural sites of Vienna as well as recreation information. Planning to travel to Salzburg this year? This guide will make you planning a simple one with all the information of the sites and the entire province of Salzburg as well. Now is the time for you to enjoy all that Salzburg has to offer. 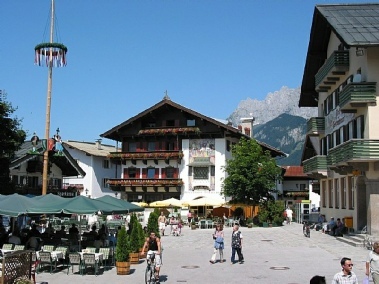 Travel planning made easy with a great travel itinerary guiding you with ease through the entire county east to west and experiencing many great sites, cities, towns and special places in the Austrian Alps. A 21 day travel guide to help you with planning your trip. confidently enjoy and experience so much of what Austria has to offer. For you to enjoy this summer or fall. See several sample sections of one of our itineraries. If you are planning a trip to experience the Christmas markets of Austria during Advent this itinerary is for you !